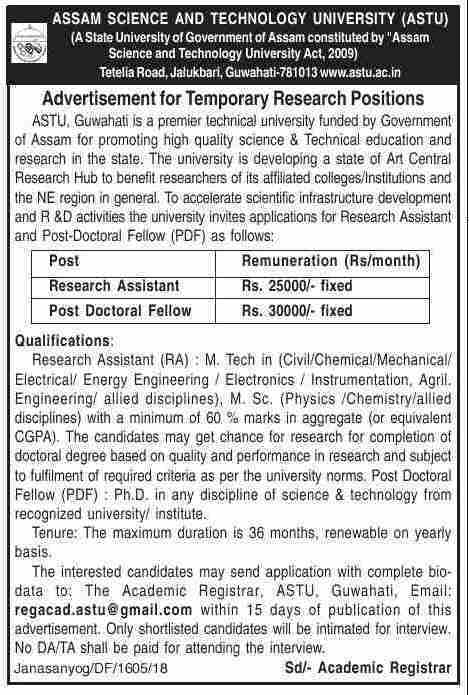 How to apply: The interested candidates may send application with complete bio- data to: The Academic Registrar, ASTU, Guwahati, Email: regacad.astu@gmail.com within 15 days of publication [06/08/2018] of this advertisement. Only shortlisted candidates will be intimated for interview. No DA/TA shall be paid for attending the interview.